Last week 3 members from My Life My Choice, along with inspections coordinator Chris, went to Surrey for an NDTi conference on Transforming Care. 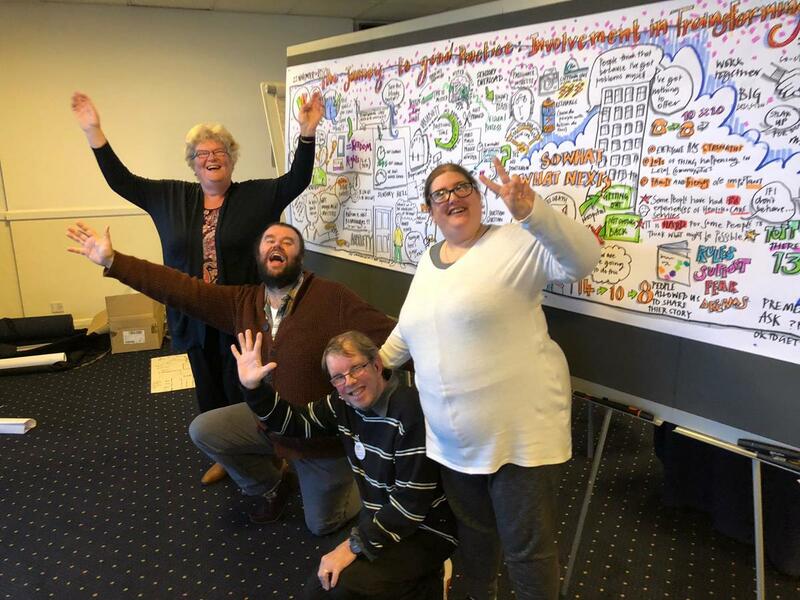 The conference was looking at how Transforming Care Partnerships have promoted good practice and inclusion of people with learning disabilities. My Life My Choice member and Trustee Paul Scarrot was co-chair of the conference, so helped to make sure the day ran smoothly and was properly inclusive. 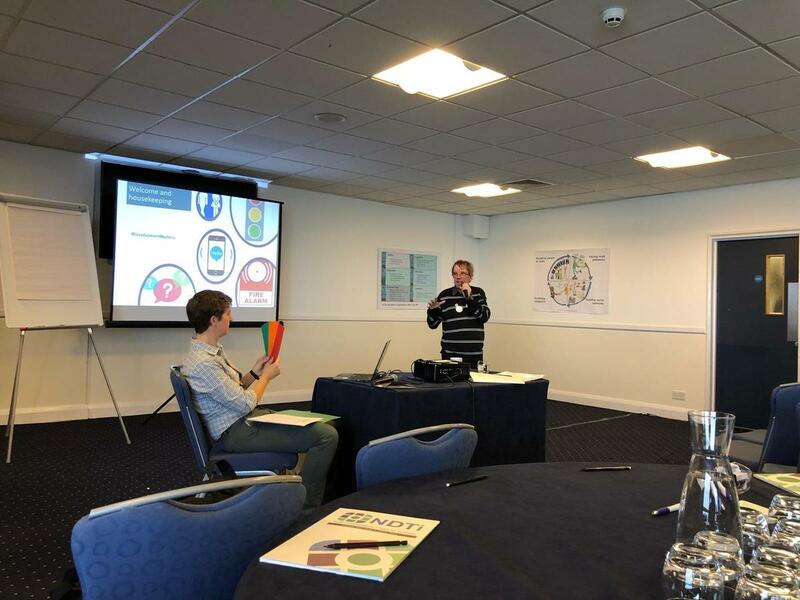 Paul also delivered a presentation, with MLMC’s inspections coordinator Chris, on how My Life My Choice has been involved with the Transforming Care Partnership Board and what lessons we have learnt from it about inclusion. The other two My Life My Choice members, Katie Harrison and Dawn Wiltshire, attended the conference, watching talks on Autism and working with people to become active citizens, and engaged in-group discussions on Transforming care and inclusion. Dawn enjoyed the conference but was disappointed that most of the documents were not put into easy read or large print to help people understand.